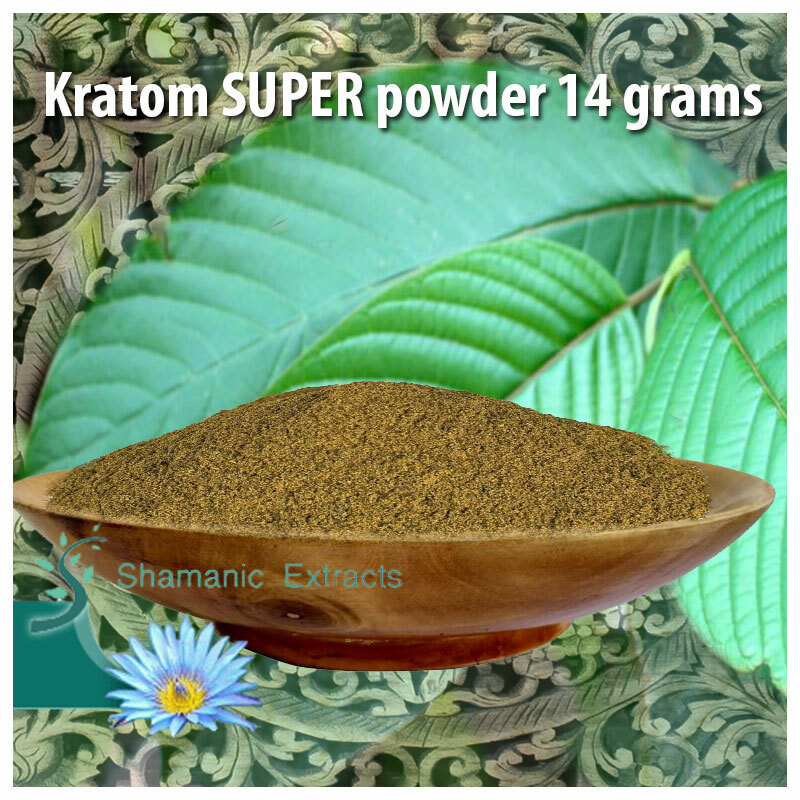 The SUPER Premium is the strongest Kratom powder you can buy to date. The Kratom trees that produce these leaves are very rare so very limited amounts of INSTANT 'SUPER' PREMIUM KRATOM will be available. This is averaging at about 300mg of alkaloids per 25gm of leaf!! Over 25 alkaloids have been isolated from Kratom. The most abundant alkaloids consist of three indoles and two oxindoles. The three indoles are mitragynine, paynanthine, and speciogynine the first two of which appear to be unique to this species Mitragyna speciosa. The two oxindoles are mitraphylline and speciofoline. Other alkaloids present include other indoles, and oxindoles such as ajmalicine, corynanthedine, mitraversine, rhychophylline, and stipulatine. The alkaloid content of Kratom, Mitragyna speciosa leaves is about 0.5%, about half of which is mitragynine. An average leaf weighs about 1.7 grams fresh or 0.43 grams dried. Twenty leaves contain approximately 17mg of mitragynine. All leaves appear to contain mitragynine, speciogynine, paynanthine, and small quantities of speciociliatine. Oxindole alkaloids usually occur only in small or trace amounts. Kratom alkaloid content varies from place to place and at different times. Within each location, there is a quantitative variation in alkaloid content from month to month. While indole content seems to be fairly stable, oxindole content shows tremendous variation. Share your experience about KRATOM SUPER POWDER with other customers. Submit your tips or thought on this product, be detailed and specific.